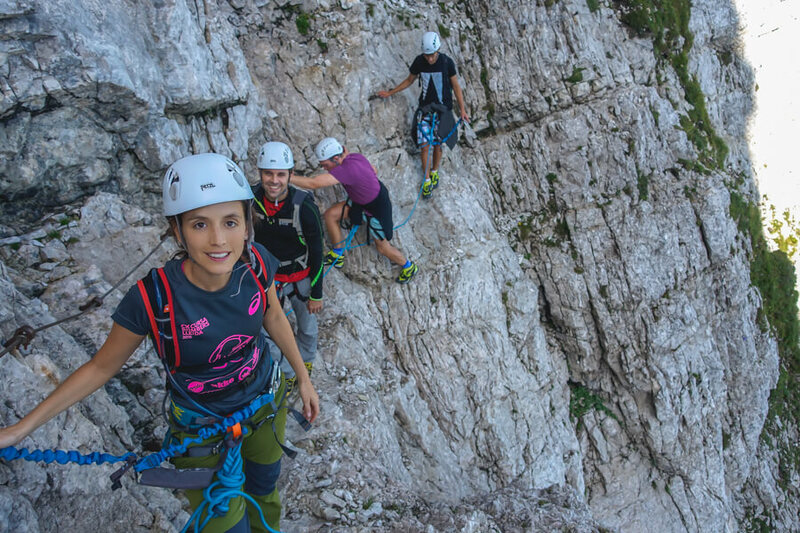 Climbing via ferrata in Slovenia – follow the vertical dream! Fixed rope routes are an exiting combination of hiking and climbing. Climbing via ferrata is a protected climbing route where you will use steel cable to secure yourself and limit any fall. Whitness picturesque view and loose your breath to adrenaline rush by crossing vertical walls. 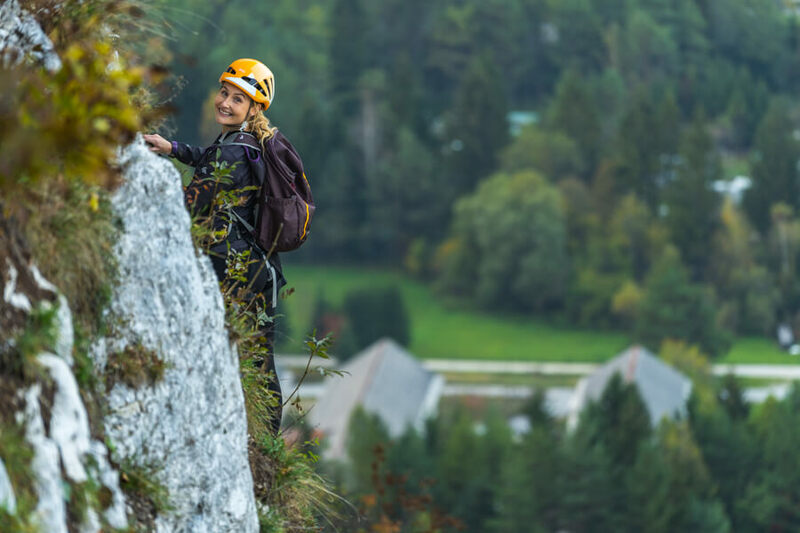 With our tour guides, Via Ferrata is a 100% safe climbing experience also suitable for recreational families and individuals with no prior climbing experience. You will be using a rope on all steep areas and the guide will take care of your safety, pace, equipment, and will provide information about surrounding locations, peaks, and other sights. The newly established via Ferrata in Mojstrana is a short trail which usually lasts approx. 3 hours. 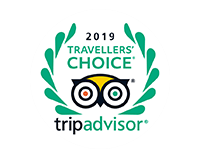 You can choose between two trails which is why it is suitable for complete beginners and for families with children over 8 years of age. The second trail is suitable for those with some experience in climbing who seek a higher dose of adrenaline. If you start with the more difficult trail and feel that you cannot continue, you can switch to the other trail at any time. 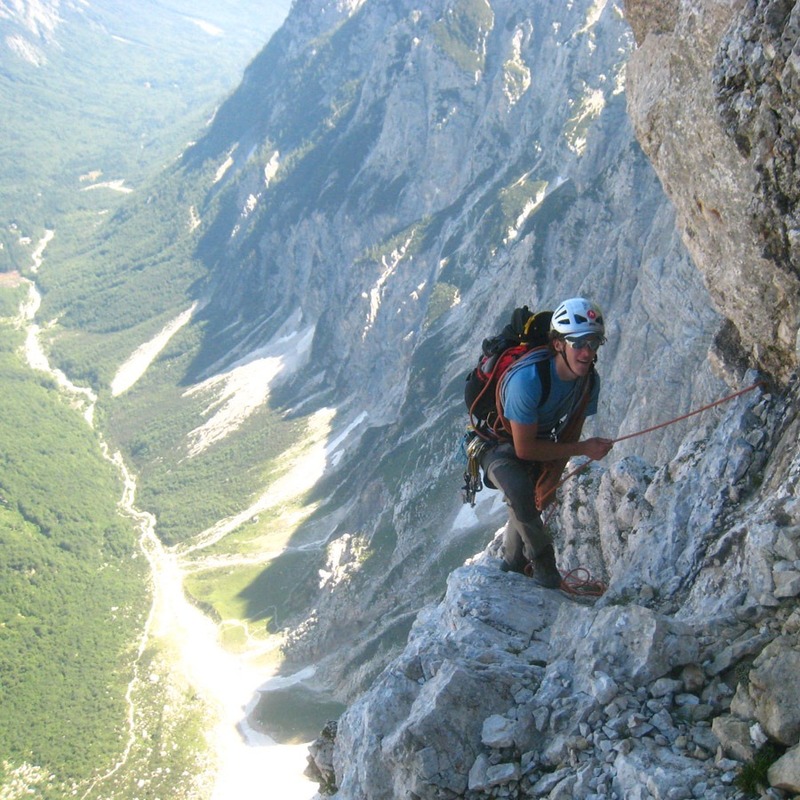 The main characteristic of Via Ferrata is that it includes a unique view of Triglav, Slovenia’s highest mountain at 2,864 meters above the sea level. Via Ferrata Mala Mojstrovka is a trail with extraordinary views. We will start in Bled and drive to Vršič, the highest mountain pass in Slovenia which is also the starting point of the trail. In good conditions, we will be able to see Planica, the second largest ski-flying hill in the world, Austrian, and Italian mountains, including many peaks which will be presented to you by our tour guides. The entire trail, including transportation from Bled and back, lasts 4 to 5 hours. Do you want to experience Slovenia in a unique and crazy way? 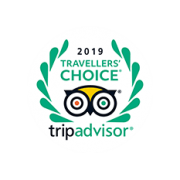 Would you like to visit places and enjoy incredible views that not even majority of Slovenians have seen? Would you like to show off to your friends with amazing pictures? Then Via Ferrata is the activity you do not want to miss! The spots were amazing! Less touristy! This was difficult to go by ourselves. The guide was very friendly and cordial!